If you want some poodle facts, we have some fun facts about your favorite dog! While many people believe the poodle first appeared in the country of France, their origins may actually be in the country of Germany in the 1500's. 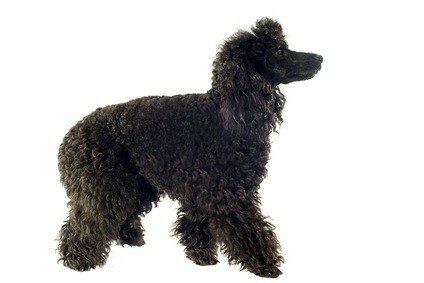 There are 3 sizes of poodles - toy, miniature poodles and standard. The teacup toy poodle and the tiny toy are variations in height of the toy, and the royal standard and giant are variations in height of the standard. Poodles come in a variety of colors. You can select a brown, black, apricot, red, cream, blue, silver or white puppy. The standard parti poodle really isn't a party animal! They are dogs who are more than one color. 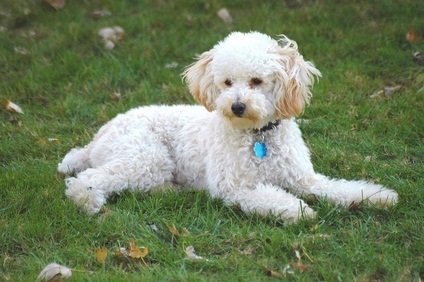 A phantom poodle also has two coat colors. Poodles started out as hard workers, they were water dogs who retrieved water fowl. They are good swimmers. Their curly locks help to repel water when they get wet. This helps them to stay warm when coming out of the pool, ocean, bath tub or after rolling around and playing in the snow! They are non-shedding dogs. People with pet allergies may be able to tolerate them as a pet. Poodle originated from the German word pudel, which means "water splasher" and "puddle". They are very intelligent and quick learners. They must be groomed on a regular basis, and should be brushed regularly at home. They are still called "French poodles". They were popular pets for the wealthy families of France years ago. They are popular show dogs. Circuses often recruited them due to their ability to learn quickly. 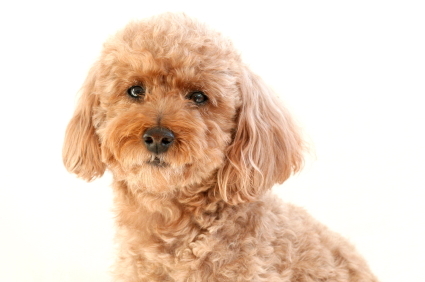 The poodle is a fun, loving, intelligent and obedient housemate. This powerhouse of a personality companion will love you for years to come. Treat your puppy like an important member of the pack, and you will have a devoted pet who will always be by your side, day and night, to love, honor and protect you.